It’s the internet and I have first-world problems. You know what Mario Kart 8 also has? The worst Battle Mode since it was introduced back in the original Mario Kart. 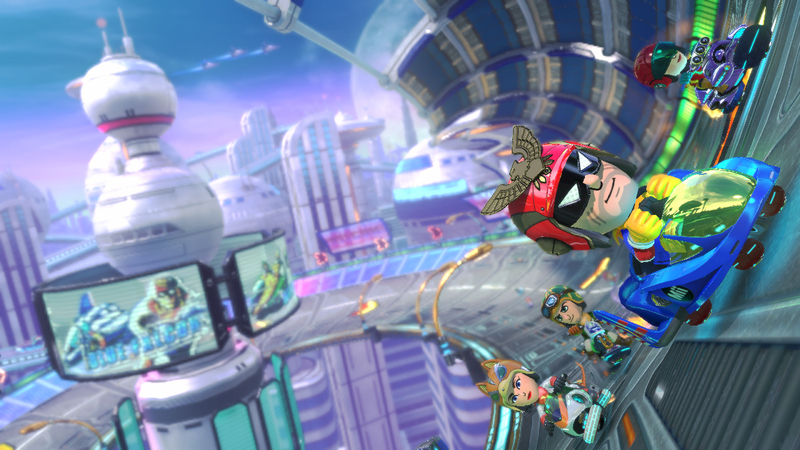 The problem is simple: Mario Kart 8, for all its raceways, has no dedicated Battle Mode stages. Not one. That’s right, while Nintendo found time to 48 courses to support one of Mario Kart 8‘s modes, they made a grand total of zip to support the other. Instead they have left players to battle on regular raceways, courses that were not designed for that style of gameplay. While there is still some fun to be had, it has made Battle Mode feel largely crippled. 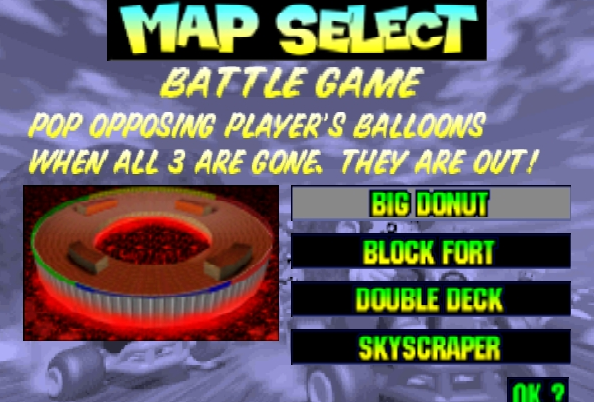 Heck, if they’re out of ideas for new stages, might I make a simple suggestion of four pretty good ones? Just off the top of my head, these would be excellent to play online. Many unique characters were scrapped in favor of “variations” of favorites. 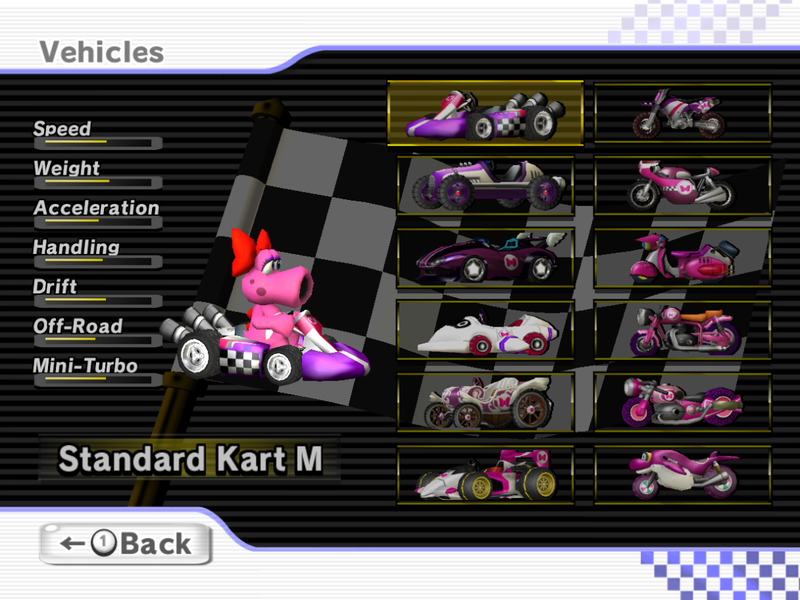 Birdo appeared in the last two console Mario Karts, making her absence in this more noticeable. Really, there are two forms for both Rosalina and Daisy, but no space could be found for pink female equivalent of Yoshi? Sure, Birdo is no longer particularly relevant to the series, but neither is Daisy… and was Waluigi ever? 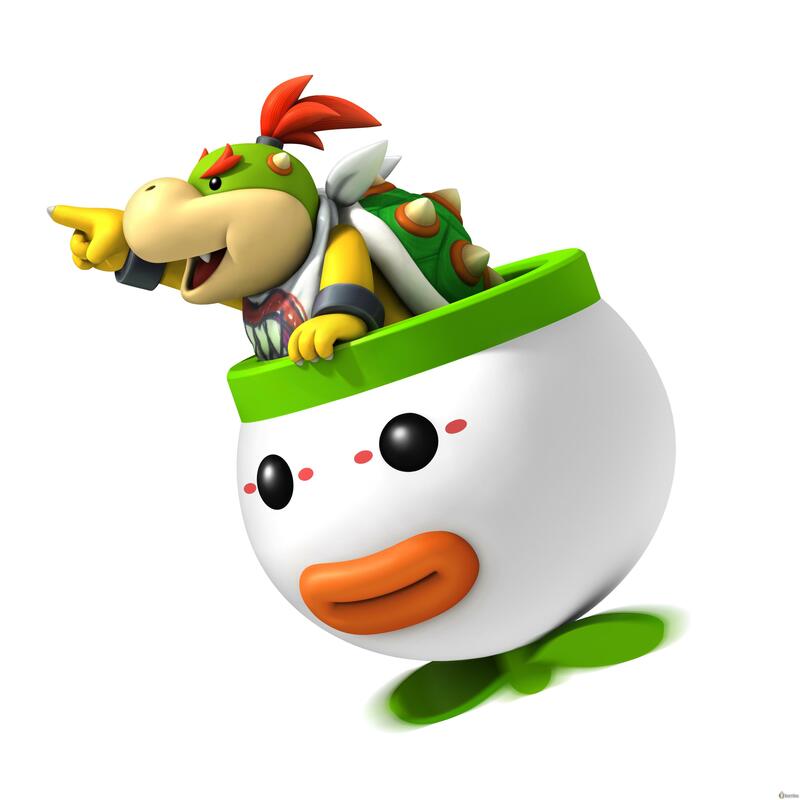 Nintendo, do you really mean to tell me that you had room for two incarnations of Bowser and seven Koopalings… but no love for Bowser Jr.? The kid has been around for the last few games, what happened? Did he offend someone during the making of Mario Kart 7? If he is good enough for Super Smash Bros., he should be included in Mario Kart 8. Look at him, all excited. He doesn’t know yet how much his hopes have been crushed. Or even Donkey Kong Jr., I don’t really care which, but there is enough room to let Donkey Kong have one sidekick. Toad has Toadette and again… do I need to mention how Waluigi is included in this game? 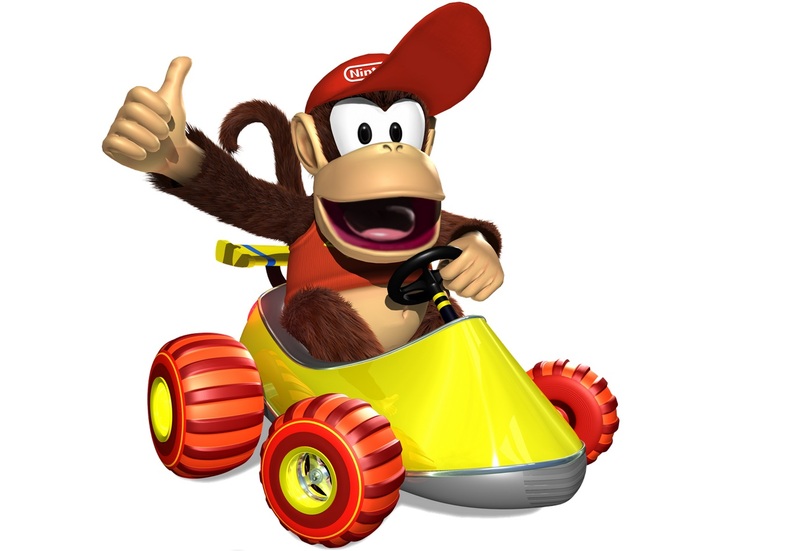 Diddy Kong deserves more respect. No, no victory celebrations for you. Now Boo learns what it is like to be truly dead and forgotten. He doesn’t have to be royalty to belong back in Mario Kart. Boo is a unique villain and who doesn’t love the ghost chuckle that guy gives every time he passes someone. Bad enough they removed him from the game as a racer, did they have to take his power too? It would probably look cooler than this but good try, IGN. Bet you thought I was going to mention the piranha plant, right? Nope, Professor E. Gadd is a bit more deserving. Again, give Luigi (and his side characters) a bit more room to shine. 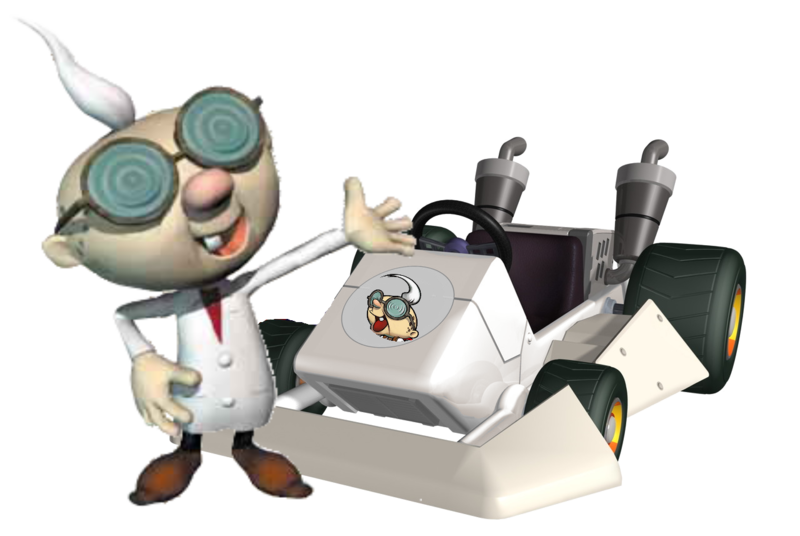 Plus, E. Gadd totally seems like the insane genius who would invent a racing kart. 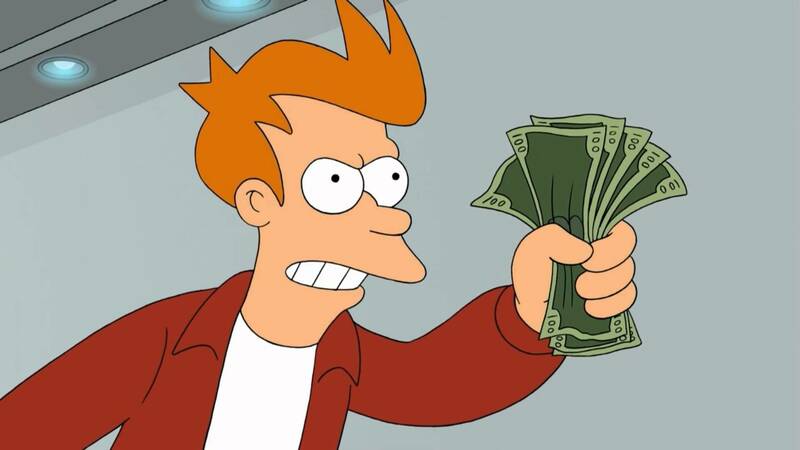 Seriously, there are already two F-Zero courses in the game and an F-Zero racer. What does Captain Falcon have to do for a roster spot? It is great to see Nintendo bringing in characters from outside series, but puzzling to watch as they skip the obvious choice… while acknowledging how well the two series work together. So there you have it, Nintendo – humble suggestions for a fan (who is willing to pay to get these things). I think I speak for many people when I say: come on! What are you waiting for? P.S. – Also new powers would be pretty awesome. 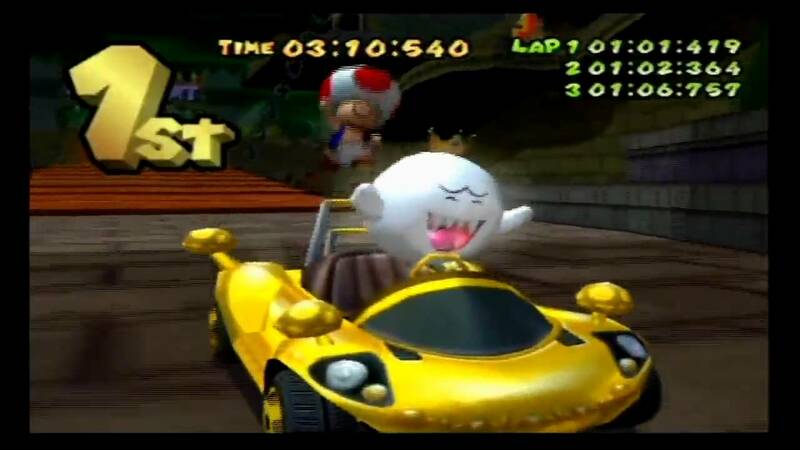 Two ideas: a Hook Shot power up (courtesy of Zelda) that allows the racer to shoot up to the person ahead of them and a Tom Nook coins/power steal (kind of like a variation of the old Boo power). Think about it.